Sale! now $150, originally $250. 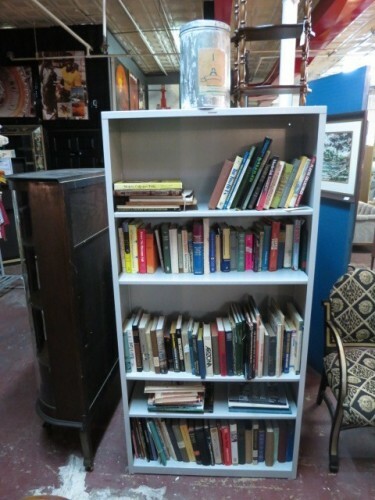 sturdy light gray powder coated steel bookcase. 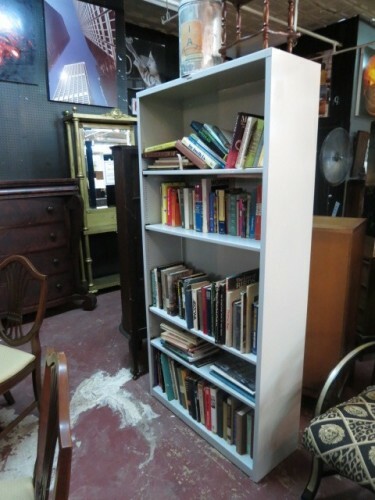 the shelves are adjustable, allowing you to store even your biggest books! shelves never sag. excellent condition. great industrial look--perfect for a home office or study. 35" wide, 71" tall, 13" deep. Sale! now $150, originally $250. 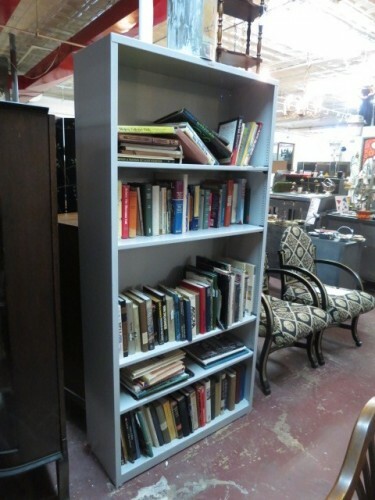 sturdy light gray powder coated steel bookcase. 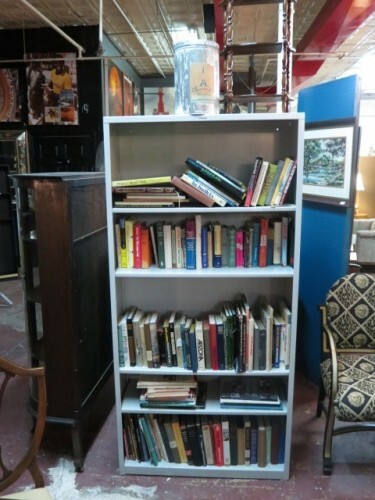 the shelves are adjustable, allowing you to store even your biggest books! shelves never sag. excellent condition. great industrial look–perfect for a home office or study. 35″ wide, 71″ tall, 13″ deep.